We all have old jeans in our closets. If you are thinking about throw them away , think again and give it a new oportunity, it is just a matter of using your imagination and you’ll see that there are numerous ideas to bring it to life. 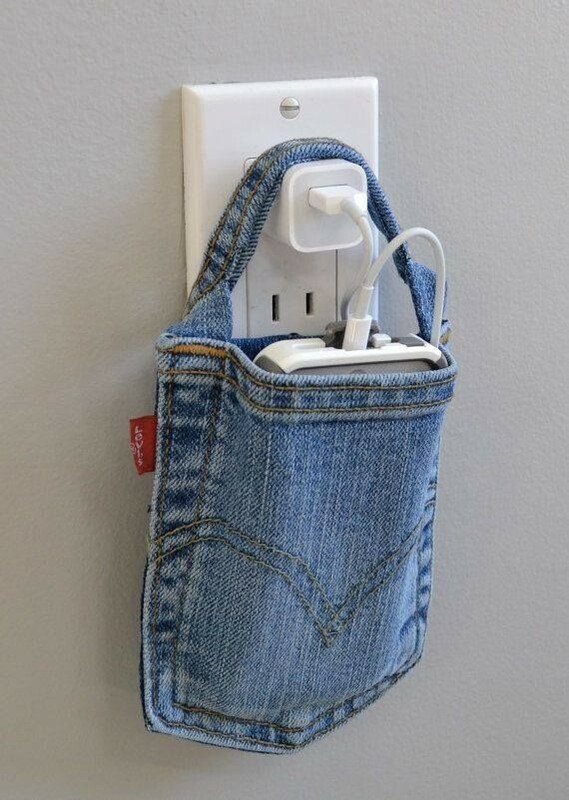 How many times did you find yourself in a position of having to charge your cellular phone and not having a place to put it? You can solve this problema by sewing the jeans back pockets together, make a small strap and then you can hang it where ever you want. 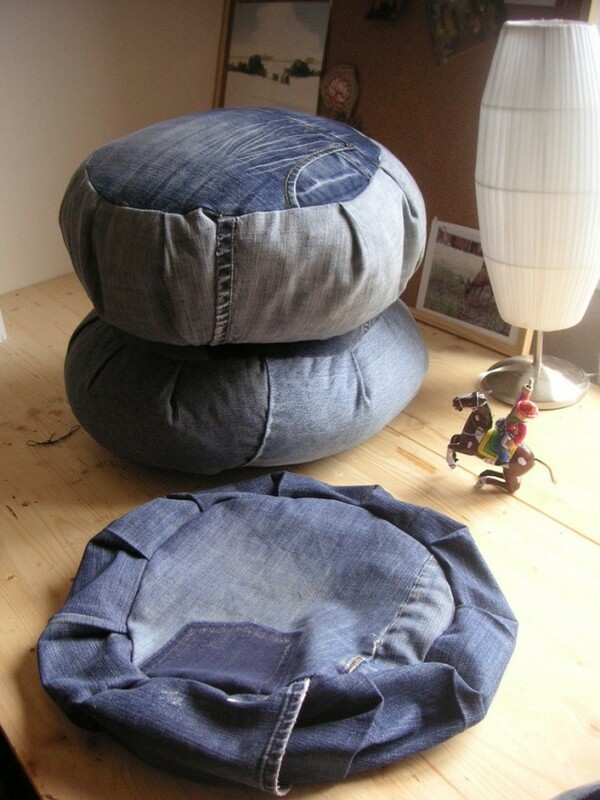 If you like puffs you can use one pair of your old jeans and make two poufs in a row. 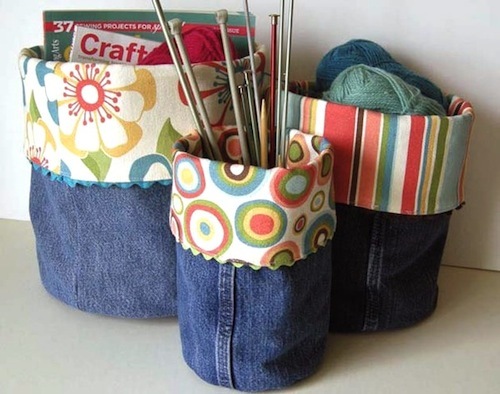 You’ll need a sewing machine and something to fill in the pouf. 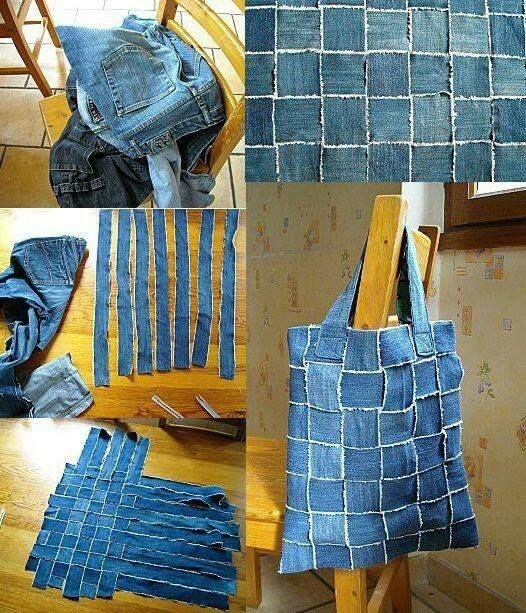 Cut the jeans legs in strips, and enjoy yourself thinking this is a puzzle, plait the strips all together and don’t forget to use the sewing machine. 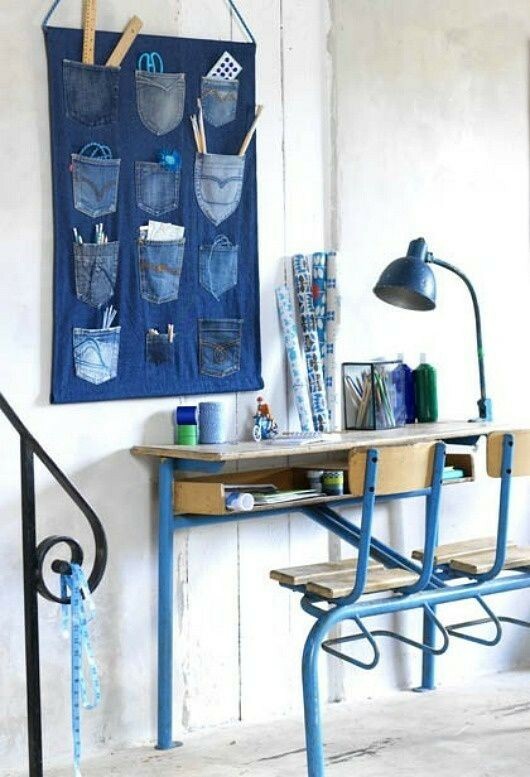 You can convert your old jeans in organization modules that you can use to keep magazines, thread or everything you can think of. 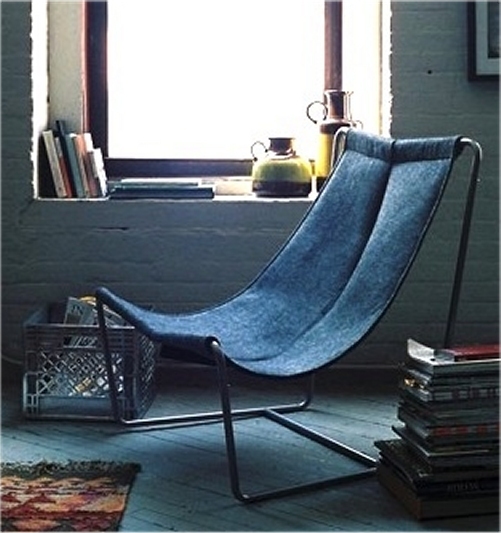 Use the legs of the trousers and you will find endless uses to cover ( use it as a wadding) your chairs. 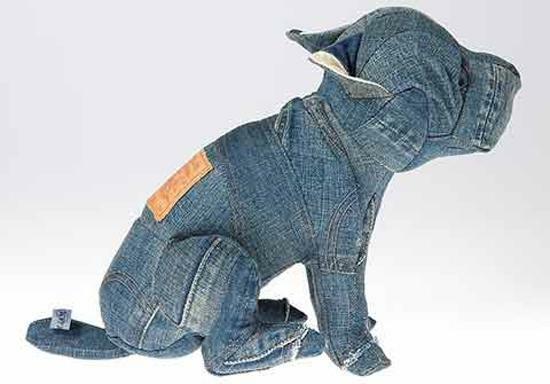 If you think you are inspired use the jeans fabric to create works of art, be original and create beautiful things.